How To Build Your Credibility Kit (Part II): Do it with Zero Experience or Track Record! Reputation is everything. When it comes to being a real estate investor, your credibility and reputation are critically important to your success. Whether you’re looking to build private money relationships, find joint venture partners for your deals, get banks to finance your projects, convince sellers to deal with you, you will find it useful to have something to put in front of them. Something that speaks for you and build trust on your behalf. As an investor, marketing may or may not be your strength – the good news is that your credibility kit can be an essential tool to help promote yourself, your business, and establish trust with people you aim to do business with. Back to Basics: Why Is Credibility Important? Relaxing the amateurish anxiety that so often comes with awkwardly bragging on yourself and your business. Creatively telling your real estate story. Making your story more interesting and compelling – especially when you use photos effectively. Helping you develop game-changing relationships with joint venture partners, private lenders and sellers. 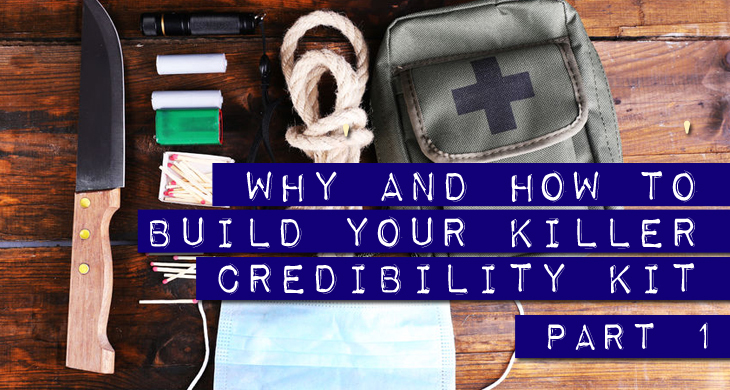 In my view a killer credibility kit is also one you can easily and effectively share in a variety of ways, including via email, one-on-one, or in a group meeting presentation. Overall, it’s a versatile and cost-effective resource that lets you shine a controlled “spotlight” on your capabilities, talents, experience and reputation as an investor. Take a look at the image below and you’ll see an example of how I might style the cover page of my real estate investor credibility kit. Big, bold pictures are always eye-catching, and people love seeing dramatic before-and-after pictures like this. The point here is you want to make sure you hook the reader’s attention right from the get-go, which means showing them something that will spark their interest straight away and entice them to want to see and learn more. The cover page of your credibility kit is your chance to make an immediately striking first impression, so don’t squander it – make it count! Quick Tip: Never actually use the words “credibility kit” on the cover page or anywhere within your actual credibility kit. Telegraphing to them that you’re trying intentionally to “build credibility” tends to have the opposite effect of giving them reason to question it. After all, if you’re so “credible” then why do you need a “kit” to prove it? That’s the likely conversation in their head anyway. So it’s best just to not use those words other than internally. When sharing with potential lenders or joint venture partners, simply refer to it as a resource for sharing your work, team members, business goals and vision. The example above is a simple one. Feel free to add your Company Logo and contact information to the cover page as well. If you have a website, an office address, an office number (or even your cell #) those will all make you look more professional! After the cover page – when you’re ready to develop the content inside your credibility kit – consider adding some brief industry news that’s timely and relevant to your business. For example, maybe some recent statistics on the real estate market or forecasted investing trends that highlight the opportunity that you’re actively capitalizing on with your business. Personally, I like to shine a brief spotlight on how the rental market is particularly strong right now, inventory is dropping and the real estate market as a whole is improving. Since I keep most of my properties as long-term rentals, this helps reinforce that my business model is supported by strong market indicators – and of course market knowledge and expertise is part of my credibility. Another important part of your credibility kit is your brief bio – which should include (i) how many years you’ve been in business (ii) any relevant courses and/or special training you’ve completed that adds to your depth of knowledge, (iii) the specifics of your investing experience, and (iv) maybe even how you got started investing. Also, make sure to include a photo! Yes, they already know what you look like – you’re probably presenting this to them in person after all. But once again, pictures say a thousand words – and including a picture of yourself in your credibility kit can be a key trigger. And of course, it will really draw attention (especially if you are as dashing as me!). All kidding aside, photos are what really pulls your credibility kit together and makes it pop, so use them liberally. A pic of yourself gives your readers the ability to pair a face to what and who they’re reading about, and the specific picture you choose will most definitely effect their view of you as a professional (or not). After your bio page, make sure to include a few photos of recent deals you’ve done, or perhaps some of the more impressive properties you’ve worked on, along with short but effective descriptions of the work you did on them. You don’t have to go deep into the rehab numbers or timeline details – paint in broad strokes so they can size up how the deal panned out in a few seconds and clearly see that you know how to do quality, profitable deals that make good sense. Also, have I mentioned that you should have lots of photos yet? I recommend rounding out the photos in your credibility kit with pictures of your team members. Include each team member’s name and a brief description of their role on your team. I like to include my legal team (attorney, title company employee) and my contracting team (painter, roofer, HVAC crew member, plumber, electrician and others). Also feel free to include any employees, partners, or anyone else relevant to your business. Showing that you have a solid team of various people in your business easily and instantaneously builds credibility because it (i) shows you’re prepared to do deals and (ii) leverages other people’s experience, which directly impacts your reputation – in a good way. It’s called borrowed credibility by association and it can be a powerful device. As an investor, how you handle risk management could be the decisive factor in whether or not someone decides to even work with you. But you can vanquish any fears about this they may have by including a risk management section in your credibility kit that addresses their chief concerns head on. Project that you are confident in your team members, that you see investing as a team sport, and that you fully recognize how important it is to surround yourself with honest, talented, experienced people who are looking out for your best interests as well as the best interest of your ‘clients’ (sellers, lenders, JV partners, etc.). This shows you’re a skilled investor who can be trusted. One last suggestion that I would make is to develop “credibility attachments” to your kit, by including social media recommendations or testimonials from past or present business partners and respected colleagues. The idea here is simple: When a credible person associates themselves with you (by means of a referral), that credibility automatically transfers to you. Again, it’s borrowed credibility by association. So, take a few screenshots of comments and referrals from credible people on your social media accounts (LinkedIn may be your best bet for this, but Facebook and Twitter can work too), and include them. Local News Blurbs. To really drive the point home in your credibility kit, consider adding a brief section about why your city, area or region is a such a great place for real estate investment. A few recent statistics or a summary of a local news story should do it. There really is no hard and fast rule about how long a credibility kit should be. Make sure your content hits the key points you want to, while being as concise and to the point as possible. And let your photos do the as much of the talking for you as possible! Recap of your particular investment strategy or strategies. Some recent deals you’ve done. Before/after pics are great. Breakdown of numbers will make you look like you really understand the business. If you had private lenders or joint venture partners on those deals, show returns delivered to them! Your team – pics, bios, profiles are all great. In the second part of this series, we’ll dive deeper into how to build your credibility kit if you are new to the real estate investing game. I’ll also have more to share on how you can gather effective testimonials from credible sources… plus a lot more. When you’re finished with this series, you’ll be armed with the knowledge you need to work up your own killer credibility kit and engage in good reputation management. And trust me when I say, it’ll give you an edge you really want to have. Rehab Valuator Software will help you structure and present your private money deals! Get Lite Version Here Free! 6 Ways to Structure Your Private Money Deals – Free Course in Video and Written Format! Talk to me in the comment box below. Please share this post using the links below! Los Angeles County areas? Too many have told me they don’t work with assignment contracts. Thanks, I love your courses, comments, blogs, etc..
Genuinely top-drawer information! Well-written, coherent, compelling. Tremendous value–more than I’ve gotten from “courses” I paid $600 for. Thank you so much for all the free information that you provide. It is very well written and straight to the point. I hope to put this to good use soon. Hello. I hope this note finds you well. Thank you so very much for this great information. To this date, all I have seen is how to find private lenders. This is the first time an expert offered a down to earth step-by-step process of how to deal with private lenders once they are located. This information is priceless. Thank you. I cannot wait to read the second part of this. Have interest … but it is all in audio? Any articles or books to download to read? Is there a list of Angel Investors to access? All of the content/education we offer is right here on the site. Some blogs, lots of videos, etc. We also don’t have lists of investors at this time. I just read this article on building your credibility kit but I have a problem, I haven’t done a deal yet. So I’m wondering how I would construct a credibility kit if I’m a beginner and what info I would use to be presentable? I’m trying to figure out a way to get into the investing business and be successful. There is a Link at the bottom of this page that brings you to the second part of this series that focuses specifically on building credibility when you are just starting off. Good luck! BEEN A SUBSCRIBER OF YOURS FOR A NUMBER OF YEARS AND DESPITE THE FACT THAT THE REHAB VALUATOR SOFTWARE STILL PRESENTS SOME CHALLENGES FOR ME….THE “CREDIBILITY KIT” PIECE IS “OFF THE CHAIN” AWESOME!. 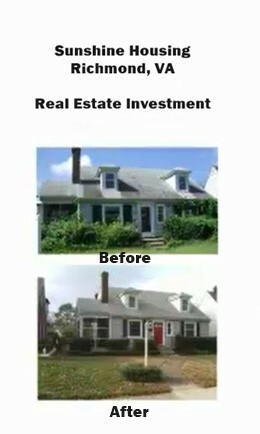 I HAVE TWO PROPERTIES UNDER GOING RENOVATION RIGHT NOW THAT WILL GIVE ME THE PORTFOLIO I NEED TO INSPIRE CREDIBILITY! THANKS DANIIL!! Awesome! We’re glad to be of assistance. Danill – You constantly offer more value than any person I know. Just when I think of something I need to research (the private money subject), I get an email from you answering my questions. I didn’t ask you for the information, it’s like you read my mind. I am a paid subscriber to Rehabvaluator, and find all of your information top notch! Thanks for being so knowledgeable and your willingness to share with others. Thanks for the content! Very helpful! Any tips for someone brand new, as far as credibility? For those of us that haven’t completed that first deal and don’t have pictures of before and afters, or current projects. Thx! Found my answer in PART 2!! Awesome! If you have any other questions please let us know. Where and how would i get a website and what content would i use on it? Deric – for investor websites, we really like https://oncarrot.com/. They’re the best in the biz. I can honestly say that everything, you have created has helped me to better my companies position every day! What I like the most about you, is you don’t sit around resting on your morals or dwelling on what you have done in the past! You continue to bless and help so many out there, who desire to see success in the real estate investment industry like you! Thanks for the kind words! Please reach out if you ever need assistance with anything.